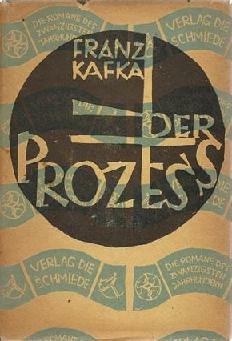 The Trial is an exemplary dystopian novel written by Kafka in 1914, published posthumously in 1925. A man is arrested and prosecuted by a remote, inaccessible authority, without being told the nature of his crime. Kafka was inspired by Fyodor Dostoevsky's similar themed novels about injustice, Crime and Punishment, and The Brothers Karamazov. Return to the Franz Kafka library.